Don’t share a Coke. Share this image instead. 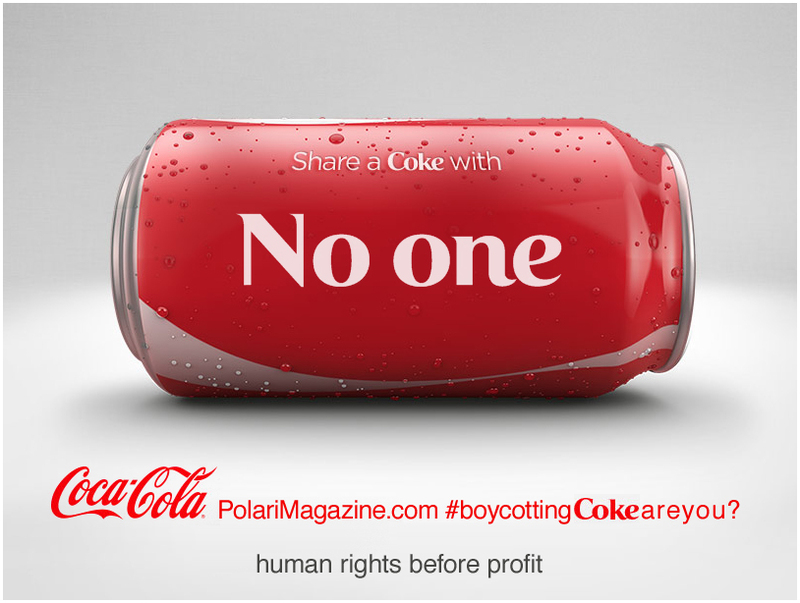 Boycott Coca-Cola products and send them a message: if you make money from those who oppress people’s rights then you have no right to make money. Click here to share this image on social media and show the CEO of Coca-Cola how many people are boycotting their products.